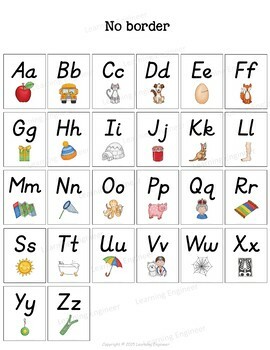 2nd Grade Alphabet Posters - Here is a fun set of alphabet posters you will enjoy for years. 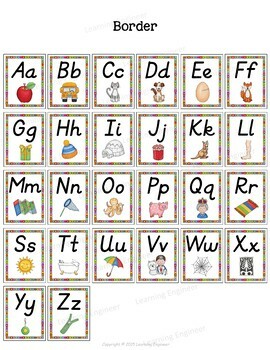 These are great for classrooms, homeschoolers and kid's bedrooms! 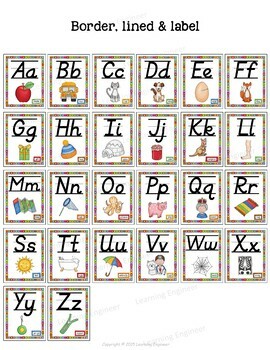 Print them up on 8.5” x 11” cardstock. I use white cardstock but you could print these up on various pastel colored cardstock as well to go with your décor. They are about 18.5’ long altogether. One way to set them up is to first figure out the middle of the room where you will place them. Then place the M on the left side of the middle of the room and the N on the right side of the middle of the room and work your way out from there on both sides. Another way to use them is to put them in rows on a wall. 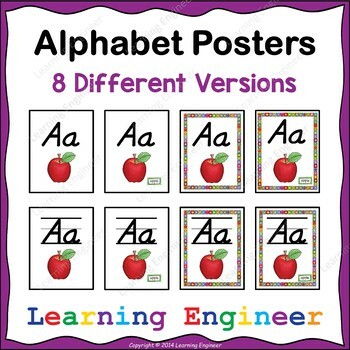 These posters are bright and cheery with lots of fun colors that will go with many room themes.